Today was Day #4 of Chocolate and Tout Sweetener Theme Week, and, like yesterday, I'm delving into the world of maple sugar/syrup mixed with milk chocolate. 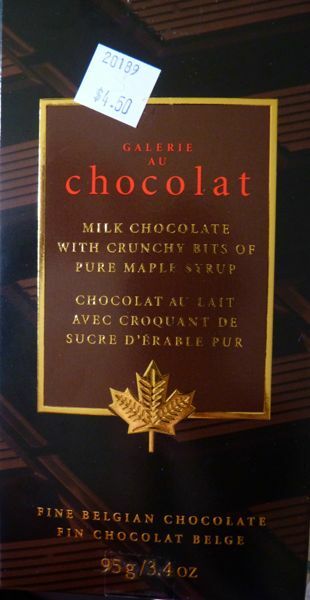 More specifically, this Chocolat au Lait Avec Croquant de Sucre D'erable Pur bar from Montreal-based Galerie au Chocolate was studded with tiny, crunchy bits of maple syrup. While I enjoyed the real maple flavor of this bar, for the past few days, I've been reminded why I generally prefer less sweetener rather then more. 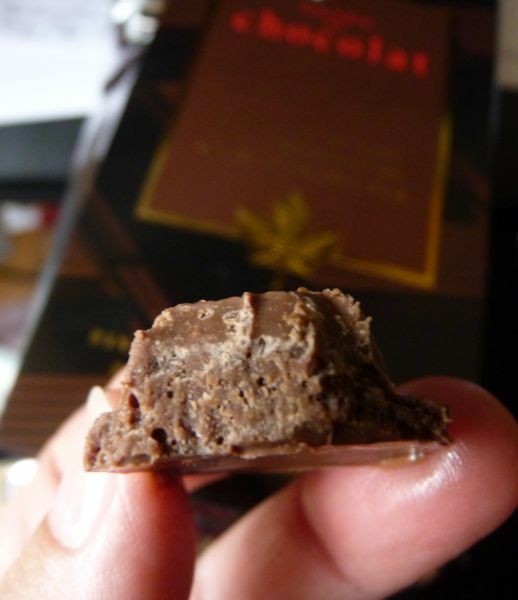 It's all about the chocolate, and the play of subtle flavor combinations with chocolate; and it's less about the sugar for me, even when the sugar contributes its own unique wonderful flavor.